Corner of Strandvejen and Dessaus Boulevard, north Copenhagen http://goo.gl/maps/BxgHi nearest railway station Hellerup. 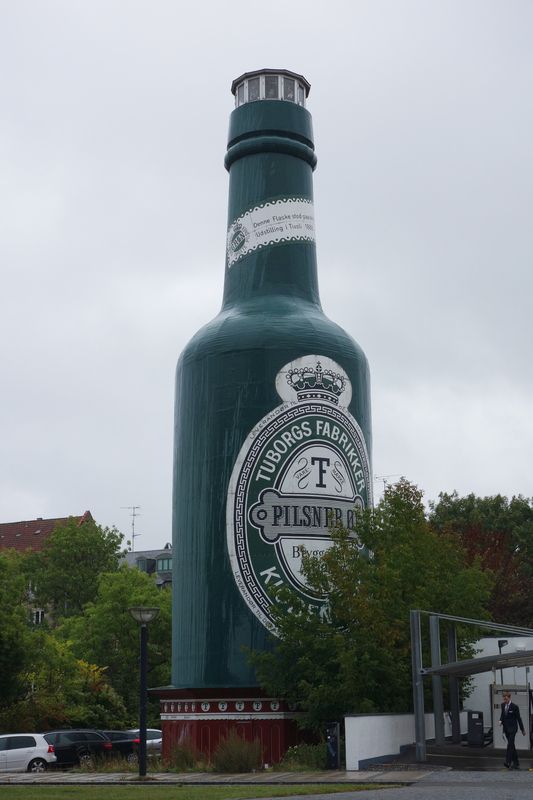 The 26 metre high bottle was put up in the Tivoli Gardens, opposite the City Hall, in 1888 for the Nordic Industrial, Agricultural and Art Exhibition. It was an observation tower which originally contained the country’s first-ever lift, now replaced by a spiral staircase. The exterior, too, has been replaced – it was canvas but is now fibreglass. 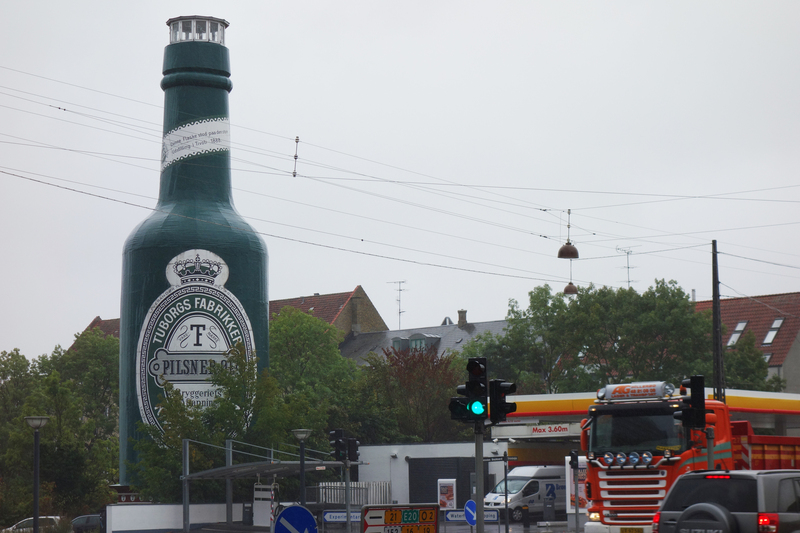 The bottle, built by the nearby Tuborg Brewery, commemorated Denmark’s technological achievements and was moved north to Hellerup after the exhibition. In 1988 the bottle, which could hold 1.5 million normal Tuborgs, made a brief return trip to the city centre for its centenary celebration. This entry was tagged bottle, Copenhagen. Bookmark the permalink.